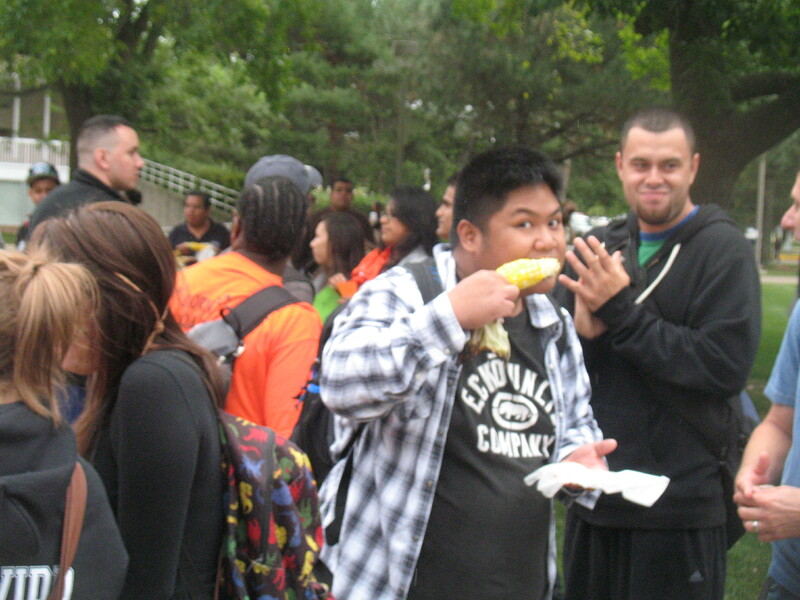 Triton College Program Board held their annual corn roast September 14th. 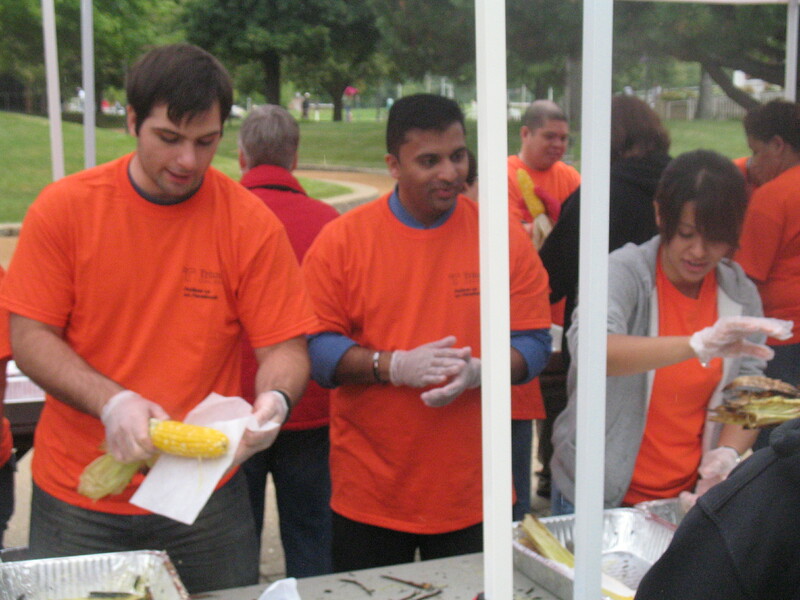 The event had students, faculty and the community lined up for the best tasting corn in the city. Although the day had a not so sunny beginning, that didn’t stop the students from getting the corn or enjoying the festivities with games and dancing. The dancing circle was also a huge attraction to those who were just leaving class. More than twenty students were dancing to hits such as “Wobble” by VIC and “Calabria” by Enur. Clubs such as BASA, TCSA and TBC (Triton Bible Club) were also out and about despite the rain. They hoped to gain new members and to education those who attended about the benefits of joining their respective student organizations. The task would have been difficult for the clubs, but thanks to the corn as well as extra goodies supplied by the clubs tables, students didn’t just open their mouths but opened their minds as well. Some students did miss out on the event due to class times and work schedules, and the corn that was left over from the event sold out within the first two hours of the school opening (most of which were bought buy the bag). For those who attended the roast, all they could talk about was how good the corn was. The Corn Roast attracted long lines as if people were waiting for a concert. Some people even showed up for both times. They took every opportunity to indulge in the buttery dipped, salty sprinkled goodness that is only given out on Triton’s campus once a year. This event is the biggest and most anticipated program on campus. It brings together the four F’s (food, fun, friends, and family). This makes it the perfect recipe for success. Students and staff would like to thank Program Board for the roast.